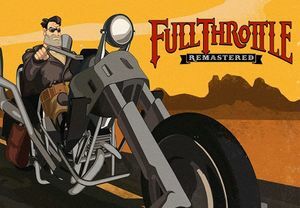 Remaster of Full Throttle. 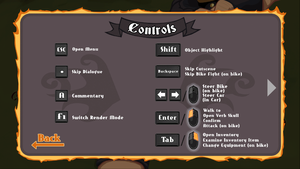 Includes updated graphics and sound, improved controls, and developer commentary. 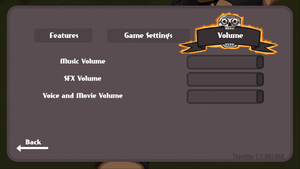 Use DoubleFine Explorer to extract game assets, including soundtrack in 320 kbps MP3. Other aspect ratios than 16:9 are letterboxed. 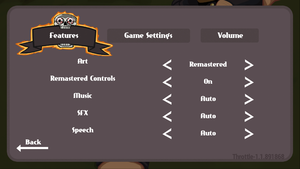 Original graphics mode is 4:3. 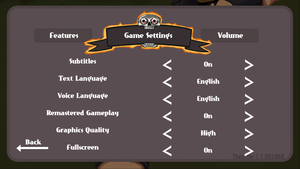 Disable fullscreen setting and use SRWE. All artwork is prerendered. Remastered graphics are pre-antialiased. 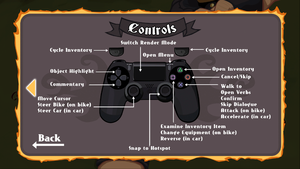 In Remastered graphics mode, press ⇧ Shift to highlight interactable objects. Music, SFX, voice & movie. 2) Fan translation by «ENPY Studio» – text translation. This page was last edited on 29 March 2019, at 03:31.